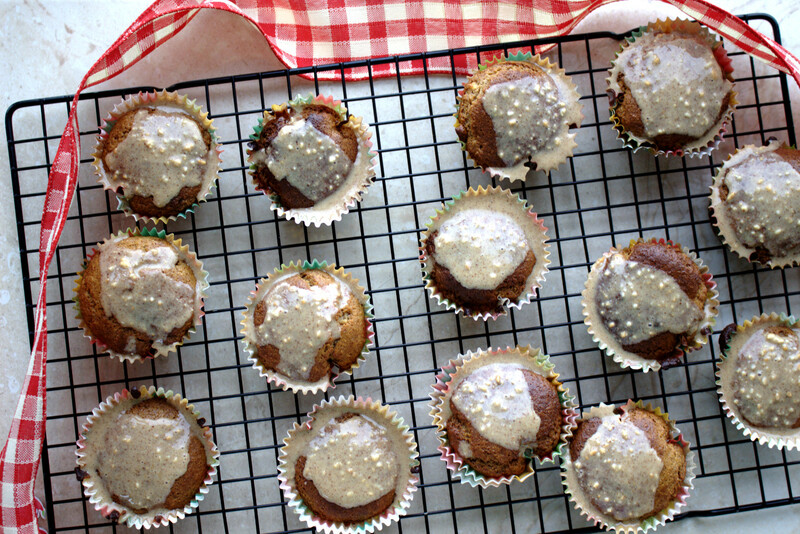 Gingerbread Muffins - Gluten, grain, dairy and refined sugar-free. 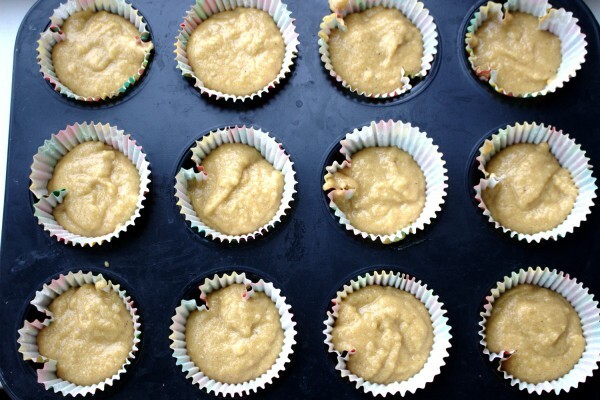 This is a great, simple and healthy muffin recipe. It’s my go-to recipe if I’m under time pressure and need to whip something up quickly. My daughter Ciara and I made a batch of these Gingerbread Muffins this morning to take to a play date. 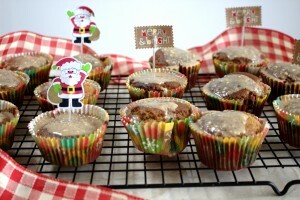 We made them festive by using Christmas muffin cases and Santa toothpicks we bought a few weeks ago. As Ciara is starting to really love baking with me and I am only too delighted to encourage it. On a cold, wet day it’s something fun we can do and enjoy together. Also, her mixing skills are improving by the day! 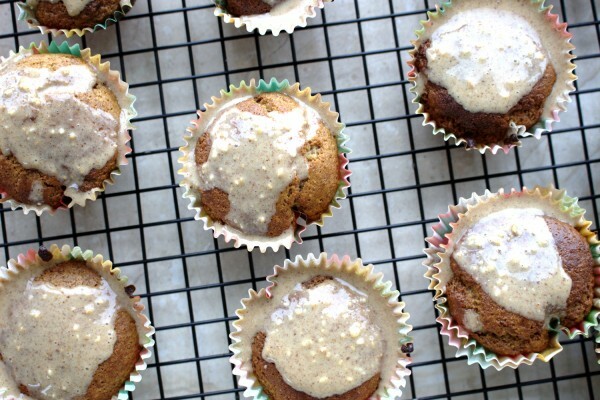 We’re big fans of ginger in our house and these Gingerbread Muffins have the perfect kick to pair beautifully with a cup of tea. They remind me a little of my pre-Specific Carbohydrate Diet (SCD) days when I used to eat regular ginger snaps and dunk them in my milky, sugary tea. No wonder I have Crohns! 🙂 No more gluten, grains, dairy and refined sugar does not mean no more sweet treats. These keep for a few days in an airtight container. Of course, they don’t usually last that long around here! * I added a peanut butter “icing” to these which is SCD-legal. However, it is not Paleo as peanuts are legumes. Therefore, if you are following a Paleo diet, you can simply omit the “icing”. In another bowl combine the eggs, coconut oil and honey. 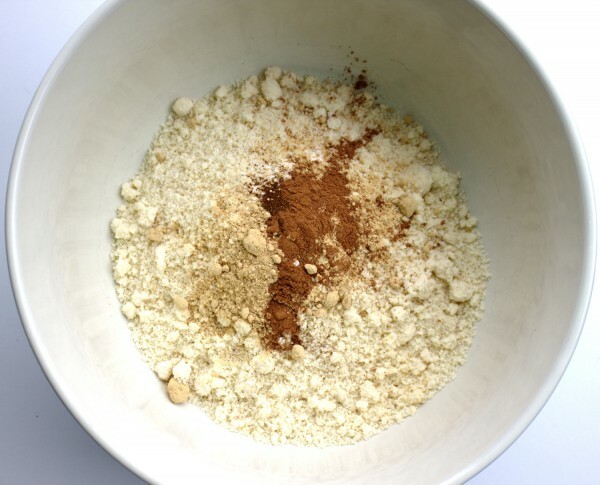 Mix the well-combined wet ingredients into the dry and mix together with a spatula until evenly blended. 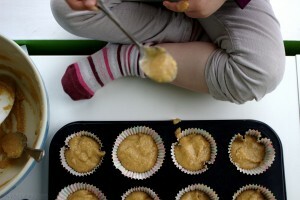 Spoon the mixture into muffin cases in a baking tray. I used about two tablespoons of the mixture per muffin case. Bake for 15-20 minutes. Mine usually take exactly 18 minutes so it's best to check at 15 minutes if they need some more time. You can check to see if they are done by inserting a toothpick into the middle of one of them. If it comes out clean, they are baked enough. Allow to cool on a wire tray. 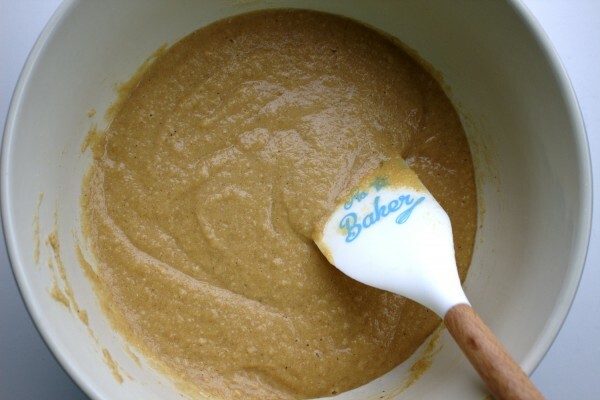 Meanwhile, mix together the ingredients for the peanut butter "icing" in a bowl. 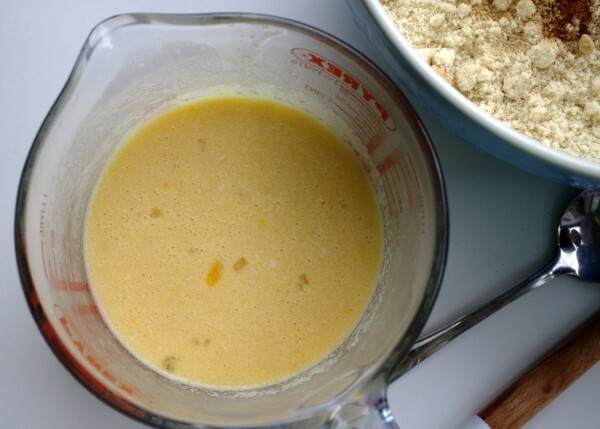 Mix with a hand or electric whisk until well combined. 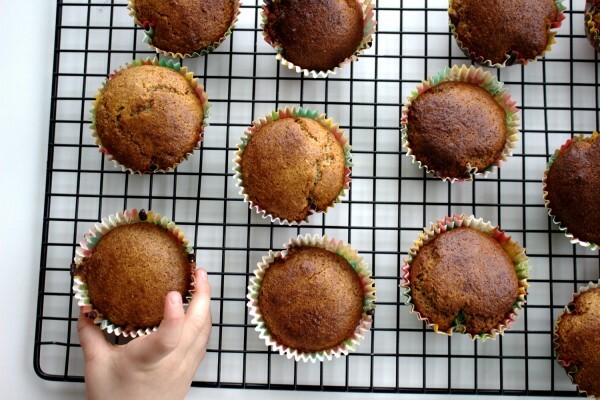 Pour a few teaspoons over each muffin and enjoy! Keep in an airtight container for a few days.